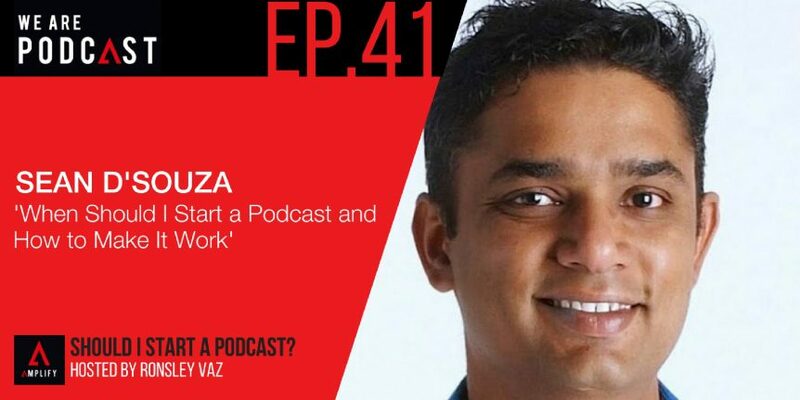 Sean D'Souza is the author of the Brain Audit, a cartoonist, marketing strategist, and brilliant entrepreneur. Sean says that the first step in creating the way you want to structure a podcast show is to make a list of the things you like and don’t like the type of show you want to create. He has a degree in accountancy and started working with one of the best advertising agencies in the world, which guided him into the world of copywriting, writing TV commercials, graphic design, cartoons and web design. He is now the owner of PsychoTactics, where he writes about marketing strategies, offers business and marketing strategy workshops, as well as personally advising at 5000BC, his highly sought after membership community. Telling stories that are interesting for everybody. “If I’m going to do a podcast, I’m going to do it completely differently. I’m going to do it my way. So, I’m going to do like a thousand podcasts. That was the goal. Because when you say ‘I have to do a thousand podcasts’ then you’re saying ‘I’ve got to enjoy this for a very long time.’ You better be enjoying yourself. What are the most important things to consider to start a podcast? There are components. You have to know things like where the suspense is, where are the white spaces, where is the bounce, what contrast are we creating. So, when you listen to something like iTunes for instance, some of the top story driven podcasts, they’re all stories. I’m good at talking about business but if I’m going to talk about storytelling then I’m going to make business interesting for everybody. You don’t have to search, you just have to know what to do. The point is you have to find an interesting fact, you don’t have to find an interesting story. You have to make the story roll out well because you can’t just copy it – that’s plagiarism. So, you have to roll it out well. Make it look good and connect it to whatever random thing you’re talking about. The main thing is how interesting your podcast is going to be rather than how much production is going to come out of it.